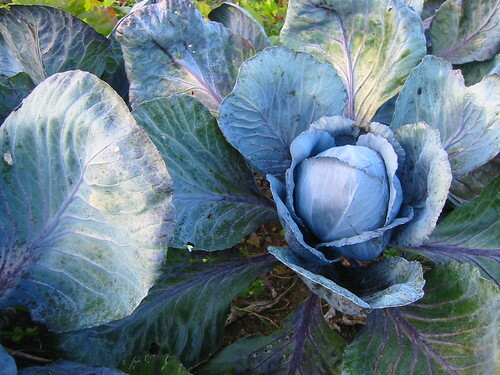 I do so adore these red cabbages. Click through to Flickr and look at them in big, you won't regret it! It was my birthday today but unlike the day of my birth (so I'm told) the weather has been foul, cold, windy and exceedingly wet. Luckily it cleared up a bit by the afternoon but it's still rather colder than is comfortable. The autumn vegetables are showing their worth. 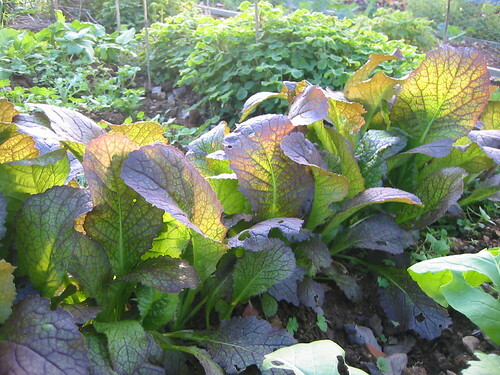 In the foreground here is red mustard leaf; slightly spicy, easily grown from seed sown in August for autumn salads. Behind it you can see the volunteer oca which is going to be a real lifesaver for my collection, particularly since the deer have trashed many of the plants I had grown from tubers recovered from a different old bed. 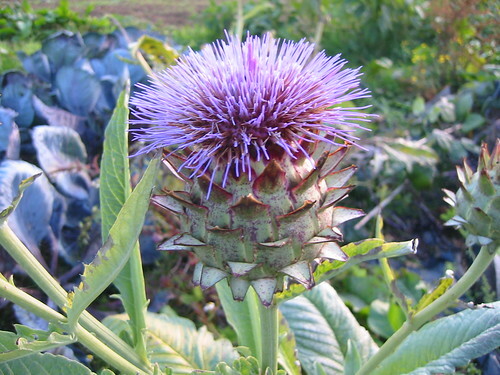 This cardoon flower is so striking in the late sun. They can be dried for winter decoration. And finally, my birthday present to me. 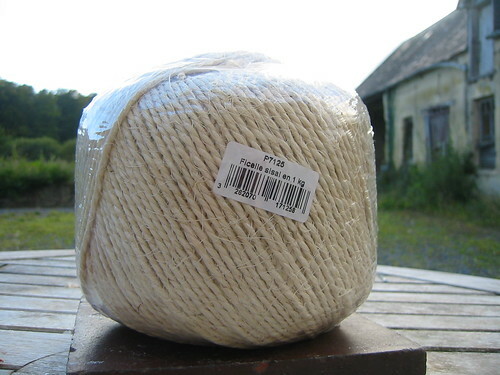 A kilo of string. I know, I'm weird. Happy Birthday, Me! It's beautiful where you are...I'm jealous.